This article addresses the methodological problem of the non-linear representation of philosophical systems in a computerized knowledge base. It is a problem of knowledge representation as defined in the field of artificial intelligence. Instead of a purely theoretical discussion of the issue, we present selected results of a practical experiment which has in itself some theoretical significance. We show how one can represent different philosophies using CODE, a knowledge engineering system developed by artificial intelligence researchers. The hypothesis is that such a computer based representation of philosophical systems can give insight into their conceptual structure. We argue that computer aided text analysis can apply knowledge representation tools and techniques developed in artificial intelligence and we estimate how philosophers as well as knowledge engineers could gain from this cross-fertilization. 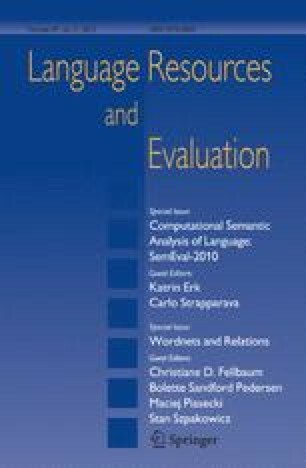 This paper should be considered as an experiment report on the use of knowledge representation techniques in computer aided text analysis. It is part of a much broader project on the representation of conceptual structures in an expert system. However, we intentionally avoided technical issues related to either Computer Science or History of Philosophy to focus on the benefit to enhance traditional humanistic studies with tools and methods developed in AI on the one hand and the need to develop more appropriate tools on the other. Gilbert Boss is professor of Philosophy at Université Laval, Québec. He is the author of several books, including Les machines à penser. L'homme et l'ordinateur,Zurich: Grand Midi, 1987, and John Stuart Mill. Induction et utilité,Paris: PUF, 1990. His main fields of research are modern philosophy, philosophy of culture, philosophical discourse and systems, artificial intelligence. Maryvonne Longeart is professor of Computer Science at UQAH, Hull, Québec. Her research interests include object oriented design methodologies and knowledge representation. She received a PhD in Philosophy from the University of Ottawa in 1978 and a BSc in computer science in 1987. She contributed to the Encyclopédie philosophique universelle,PUF, 1992 and published several papers on the representation of complex conceptual systems. Douglas Skuce is professor of computer science at the University of Ottawa. He has worked in the area of knowledge engineering since his PhD (McGill, 1977). During 1978-present he has been developing the CODE system for various applications, including terminology and software development. Currently, his interests include designing ontologies for knowledge exchange and coupling large corpora to systems such as CODE.